A challenge to a law requiring that tobacco companies drop branding and colors from cigarette packets has been dismissed in Australia. As it stands, the world’s toughest tobacco marketing law is due to come into effect later this year. ­Australia’s Tobacco Plain Packaging Act, which is expected to come into effect before the end of the year, requires that tobacco producers drop all color and clearly visible logos from their products’ packaging, instead selling them in uniform olive green packs displaying graphic health warnings. The package is required to prominently feature health warnings and images of cancerous mouths, blind eyes and sickly children, while the brand names would be printed in a small, uniform font. A group of tobacco giants – including Philip Morris, British American Tobacco, Britain's Imperial Tobacco, and Japan Tobacco – claimed that the law was unconstitutional because it effectively stripped them of their intellectual property rights. 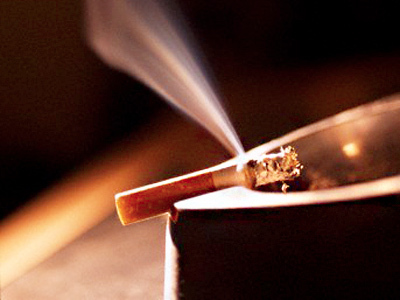 On Wednesday, the court ruled that anti-tobacco laws were legal and did not breach any trademark rights. 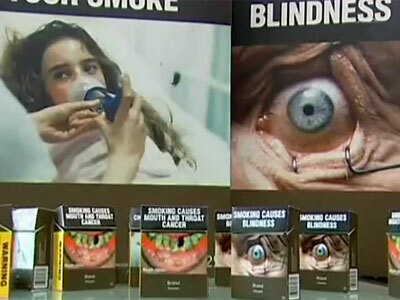 The Tobacco Plain Packaging Act was passed in 2011 in an effort to further reduce the number of smokers in Australia.